Pope Francis on February 11, 2019, named new leaders in three African dioceses in Angola, Tanzania, and Ghana. 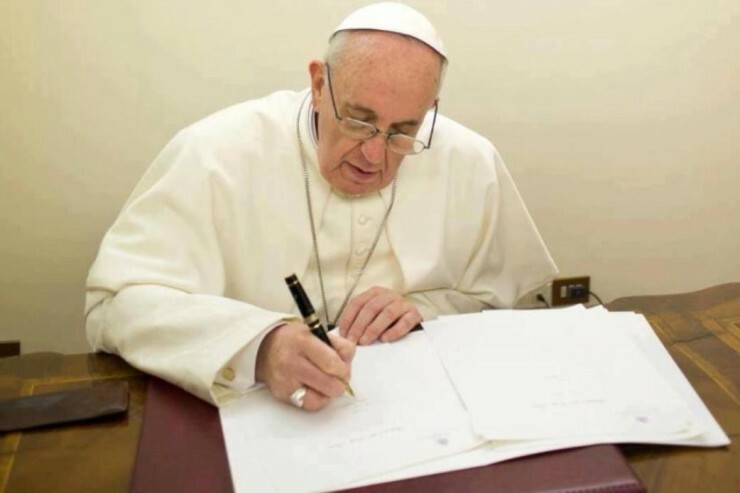 The Holy Father Francis has accepted the resignation from the pastoral care of the diocese of Viana, Angola, presented by H.E. Msgr. Joaquim Ferreira Lopes, O.F.M. Cap. The Pope has appointed H.E. Msgr. Emílio Sumbelelo, currently bishop of Uíje, as bishop of Viana, Angola. The Holy Father has appointed as archbishop of Mwanza, Tanzania, H.E. Msgr. Renatus Leonard Nkwande, currently bishop of Bunda. The Pope has appointed as vicar apostolic of Donkorkrom, Ghana, the Rev. Fr. John Alphonse Asiedu, S.V.D., currently master of novices at Nkwatia Kwahu, Koforidua. Rev. Fr. John Alphonse Asiedu, S.V.D. Since priestly ordination he has held the following offices: 1997-1999: parish vicar of Our Lady of Good Counsel in Kwahu Tafo, in the diocese of Koforidua, Ghana; 1999-2005: assistant to the master of novices in Nkwatia-Kwahu; 2006-2008: provincial bursar in Accra; 2008-2017. prefect of Scholastics at the S.V:D. Common Formation Centre of Tamale; and since 2017, master of novices in Nkwatia-Kwahu, in the diocese of Koforidua.